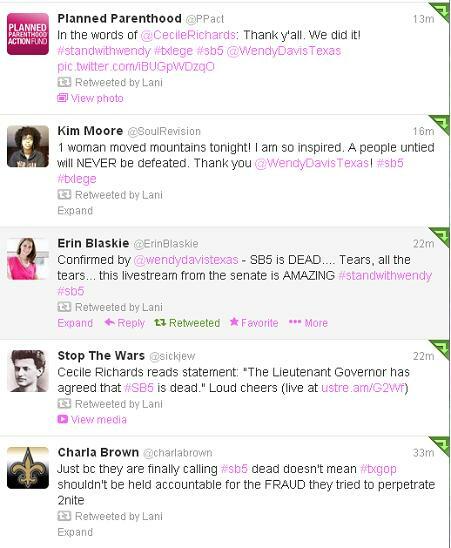 "Can we please take a moment to acknowledge that Wendy Davis and Leticia Van De Putte on this day attended a special texas senate meeting to address an anti-abortion bill. Wendy Davis filibustered for a goal of 13 hours, and was stopped just short of that in debate over whether sonograms are germane to abortion. 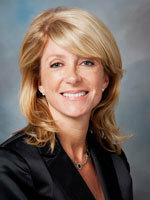 PLEASE TAKE NOTE DURING A FILIBUSTER IN TEXAS, SHE HAS NO ACCESS TO WATER, RESTROOMS, OR FOOD. IF SHE IS CAUGHT LEANING ON ANYTHING, SHE GETS A STRIKE ESSENTIALLY. She remained standing the whole time regardless. Cheers erupted out of the house for 20 straight minutes. THESE WOMEN ARE FIGHTING FOR YOUR RIGHTS. YOUR REPRODUCTION RIGHTS. YOUR PERSONAL RIGHTS AS A HUMAN BEING. 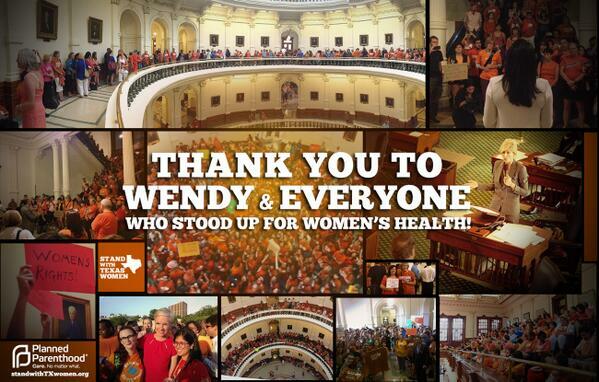 IF IT WEREN’T FOR THEM, NEARLY ALL OF TEXAS ABORTION CENTERS WOULD HAVE TO SHUT DOWN. 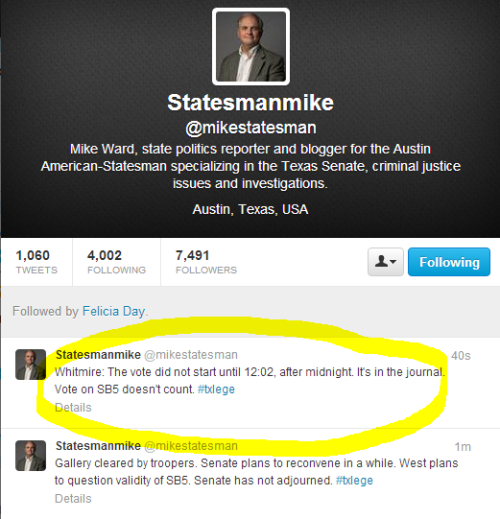 TEXAS IS A STATE THAT HAS FEW POLITICIANS LIKE THEM. SUPPORT THEM.Whether you reblog, post on facebook, tweet on twitter. 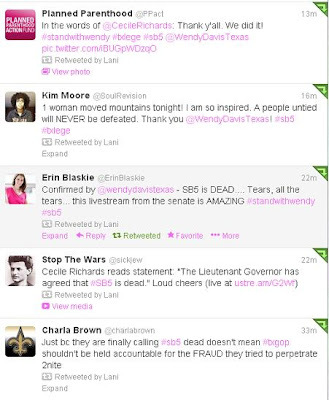 Spread the word, or donate to their campaigns to keep them where they are… PROTECTING THE RIGHT OF WOMEN IN TEXAS. "GET TO KNOW US: Progressive activist Ellen R. Malcolm was fed up with the declining number of women in Congress and with the tepid early support offered to most women candidates. So she gathered her friends, pooled their Rolodex contacts, and formed a group tasked with electing pro-choice Democratic women to the House and Senate. 27 years later, EMILY’s List is a full-service political organization and a nationally recognized force for progressive change. We’ve conducted groundbreaking research and developed programs to empower women voters; we’ve helped elect 87 pro-choice Democratic congresswomen, 16 senators, 9 governors, and hundreds of women to state and local office. Four EMILY’s List alumnae serve in President Obama’s administration and our membership tops 1.5 million. All of these women believe in and advocate for policies that empower women and families, while holding the far right accountable for their extremist agenda. MEET OUR CANDIDATES: A successful small business owner. A tenured professor. 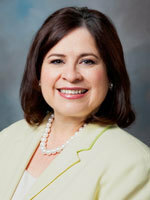 A seasoned city councilwoman. A former chief of police. A decorated veteran. These are just a few of the inspiring pro-choice Democratic women running to take back the House and hold the Senate in 2012. You can meet and support all of our candidates on our candidate page. GET INVOLVED: Now it’s time to get involved – and there are a few quick and easy ways to jump right in. Spread the word by emailing a friend about EMILY’s List. Join our Facebook group.Subscribe to our Twitter feed. Bookmark the EMILY’s List Blog. Our expanded online community gives you up-to-the-minute information on our campaigns, polls and voter mobilization programs – not to mention the latest GOP attacks both on women’s rights and our courageous candidates. If your interest runs even deeper, you can learn more about internships, job opportunities, and – of course – running for office."